The Civil Rights Movement has encouraged Americans not to judge people by appearance alone. To limit a person’s potential due to an immutable characteristic goes against the American Dream. Discrimination is usually based on outward, physical appearances. However, advancements in science, like sequencing a person’s DNA, have created new forms of discrimination. 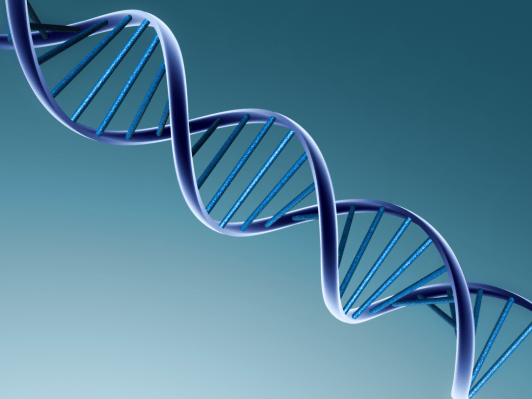 A person’s genetic information is a road map of their biological past and future. From cancer to eye color, a person’s DNA can reveal more about a person than the person knows about him or herself. What can be done when a person’s DNA opens them to discrimination? What if the reason for discrimination is based on a medical reason? If the discriminatory act is to protect others around them, is it still illegal? In 2012, a 6th grade student in California was asked to leave his school because he carried the DNA markers for cystic fibrosis. His school already had two students, siblings, that had cystic fibrosis. Due to the nature of the condition, there cannot be too many students with cystic fibrosis. The students will likely expose each other to debilitating infections. The parents of the other two students have good reason to be afraid. Individuals with cystic fibrosis are isolated from other individuals with cystic fibrosis. Deadly strains of common bacteria lives in the lungs of 80% of individuals with cystic fibrosis. One strain can be managed in the lungs of one individual. But a different strain that grew resistant and adapted in the lungs of another individual can be fatal. The two other students at Colman’s school are siblings, so they are familiar and resistant to the same strains. Introducing a new strain into the school environment can hospitalize and/or kill their children. It is not difficult to understand the parents’ fear. It is standard practice to keep children with cystic fibrosis apart. When they hear a student has the genetic markers for cystic fibrosis, all they could think is how their children are now at risk. But the reality is that he does not have cystic fibrosis. So where can Colman go from here? Colman has the genetic markers, but he does not have cystic fibrosis. He never developed it. In fact, he eventually returned to school after missing a few weeks. But Colman’s DNA tells physicians, geneticists, and society that Colman could/should have cystic fibrosis. In 2008, the Genetic Information Nondiscrimination Act of 2008 (GINA) was passed. Its goal is to prevent genetic discrimination in the workplace. It prohibits employers from refusing to hire or discriminating employees based on genetic information. Information like a person’s family medical history or the chance a person will develop a disease or condition. But how does this help Colman? It doesn’t. GINA does not cover any type of non-employment discrimination. Colman needs to rely on the Americans with Disabilities Act (ADA). But Colman does not have a disability. So his best chance is to depend on the part that protects individuals with a “perceived disability.” But perceived disability has only been used in the case of employment discrimination. Perceived disabilities are also visually apparent. In previous cases, individuals won on the basis of appearing to have a disability that is easily noticed. The individual used a cane or had massive scarring, but did not request any accommodation(s). Colman’s case is not like other perceived disability cases. He does not have an apparent disability that is seen with the naked eye. But most importantly, Colman is not an employee. In fact, because Colman’s school is a public school district, his argument would need to be based out of Title II of the ADA. Colman’s case is unlike anything ever presented. It does not seem to fall under protection of the ADA or GINA. At best, it is a long shot. A question like this has never been answered, because a situation like this never occurred. A case like this is uncharted waters for the judicial system. 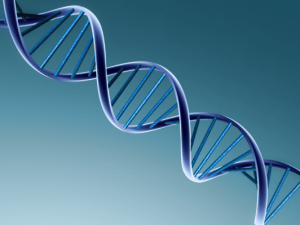 Is Genetic Discrimination Here To Stay? It is uncertain if Colman will succeed. It was dismissed from lower federal courts. It is to be heard only after the Department of Education and Department of Justice encouraged the federal courts to examine the case. Today, DNA tests are sold on the drugstore shelf. The government needs to update their approach to genetic discrimination. They are not keeping up with the rapid advances in science. Something must be done; so with bated breath, we will wait and see.